← WHAT’S ON MY NAILS? A ‘GLOW’ PRODUCT THAT DOESN’T MAKE YOU OILY?! Everyone always talks about ‘glowing’. How to get a ‘glow’. Foundations that make you ‘glow’. Get ‘glowing’ skin. But if I’m honest, as a girl with really oily skin, I can’t think of anything worse that having an intentional ‘glow’. Until now. 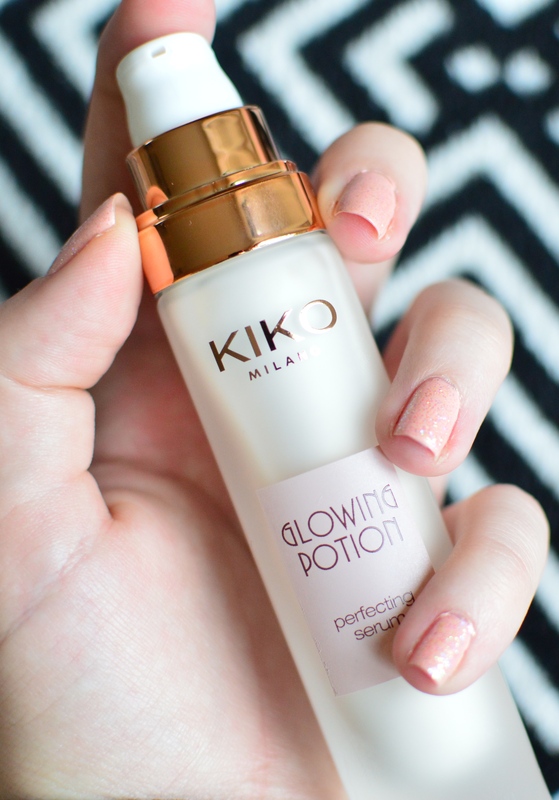 When I swatched the KIKO Glowing Potion Perfecting Serum in the shop, it seemed different to any other ‘glowy’ primer/serum/base that I’d tried before. 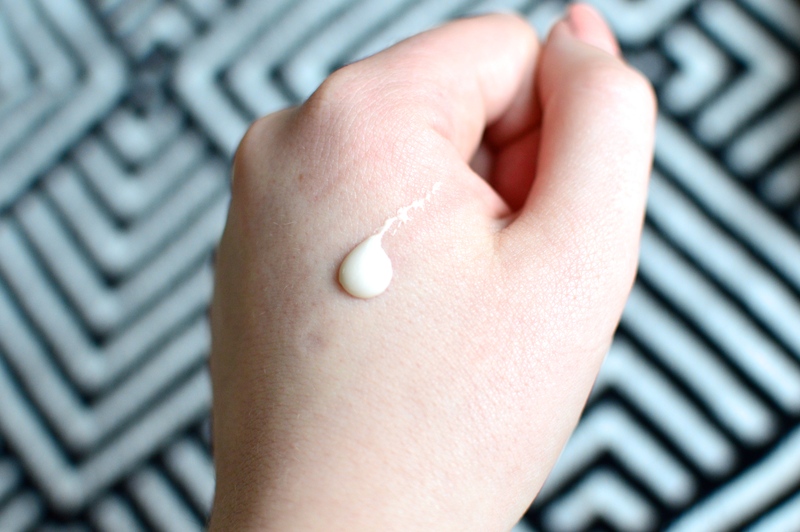 It offers a glow, without being too dewy or slick. It really dries down quickly without leaving any feeling of tackiness or slip. I use it as a primer, on top of my skincare, but underneath my foundation, and I can honestly say I haven’t noticed any difference in the longevity of my matte complexion throughout the day. My skin stays matte with just a slight luminous sheen on my temples and on top of my cheekbones. I don’t tend to use it across my forehead or down my nose as I tend to get oily here pretty quickly anyway. It’s great for someone who might find certain matte foundations a bit too matte, it really does just lift the complexion. 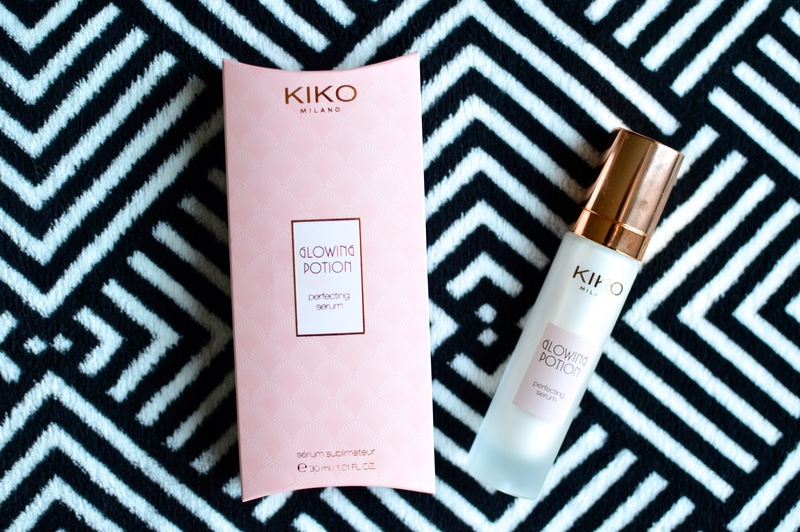 The packaging is cute, a slim frosted glass bottle with a really handy pump and rose gold lid – doesn’t that just sound dreamy? At £13.90 for 30ml of product I guess it’s not the cheapest, however it is a whole lot cheaper than some other products that I’ve tried and hated. Definitely a recommendation from me if you have skin that’s on the oilier side. This entry was tagged bblog, bblogger, beauty, cosmetics, fashion, glow, glowing potion, kiko, oily skin, primer, serum, skincare. Bookmark the permalink.